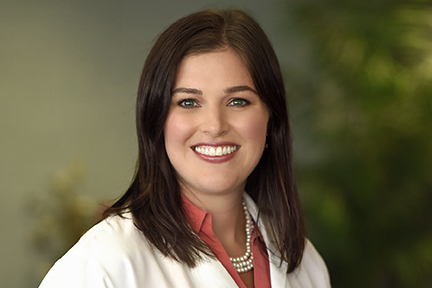 Amy studied to become a Doctor of Medicine at Creighton University School of Medicine. After completing her residency at the University of Florida College of Medicine, she came back home to Minnesota to be with her family. Women’s health fascinates Amy and she loves being there during key moments in her patients’ lives. Amy’s patients appreciate her ability to listen to both their concerns and stories. Medical terms can be tough to understand without going to medical school, which is why Amy frequently uses analogies to help her patients understand their body. She also enjoys the complexity of surgery and handling high-risk obstetrics with care. In addition to caring for her patients, Amy loves to travel and be outside. Her mission trips to both the Dominican Republic and Peru helped her provide care for women and families in need. She spends time reading, baking, and enjoying Minnesota with her husband and two cats.